I actually wanted to try out the waffles from this (kiosk?) shop when I saw it few weeks ago or so. I finally had a chance to do so when my mom asked me to buy her a cap for her trip to Bangkok. This kiosk was located outside Lot 10 Shopping Centre (Opposite of Sungei Wang Shopping Centre). If you are at Lot 10, just walk out from the main enterance where Guess shop is on your left. Turn left and you will be able to see Samsung and New Straits Time booth/kiosk. Keep on walking and Waffle Stop will be there. They have differet categories of waffles for you to choose from. 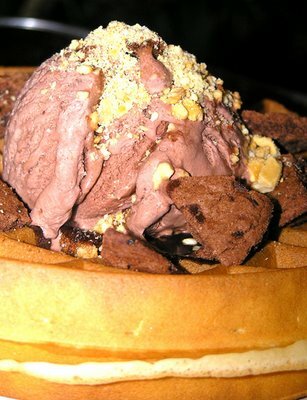 Four categories which are Classic, Chocolate Galore, Ice Cream and Fruit, and Savoury Special. Waffles can be served in two type. One is the normal type which is "Belgian" (circular shaped waffle with toppings) and the other is "stick" where the smaller size of a square shaped waffle comes with a stick for you to hold. Other than waffles, they also sell brownies. This is what I've ordered. The Cookie Double Chocolate Belgian priced at RM10.90. The stick one is priced at RM6.90. I was so happy to see it but ended up disappointed when I eat them. Well, there's nothing for me to shout about this particular (stall/kiosk?) as I don't really fancy their waffle. I would prefer Waffle World or A&W rather than this. 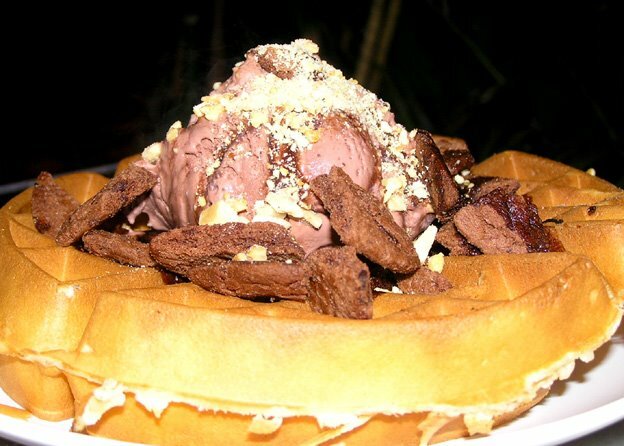 I used to go to the Waffle World's branch at Sri Petaling but now they have closed down. 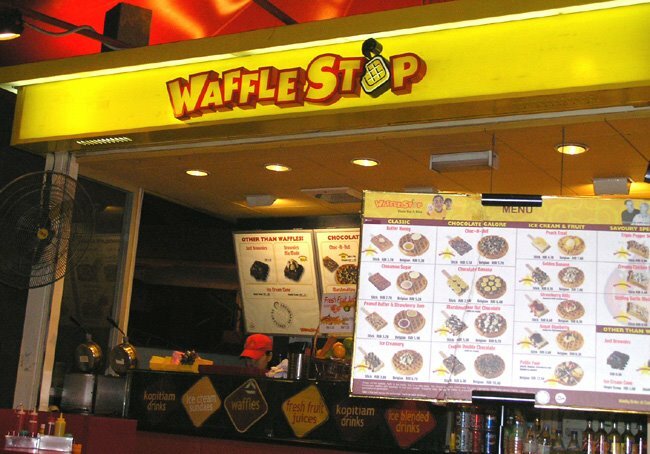 Sorry that the waffle dissappointed you. I hate it when you are excited to try something and then it turns out to be a flop. Better luck next time. robym - Haha, only the name sounds promising...but not the food. Gelare closed down already so doubt you can try it out. I'm old fashioned - I love the A&W waffles still. This must b a new outlet. It was not there b4 wen i was in M'sia. I was working just beside LOT 10.
boo_licious - Hmm, won't have the chance to taste the waffle at Gelare..
A simple girl who loves eating yummy food~ Cooking is fun...but how about washing the utensils? hahaha..it could be fun too~ Explore the world of FOOD is my dream~!